Dopplr.org is the spiritual successor to dopplr.com, which Nokia bought in 2009 and then forgot about. 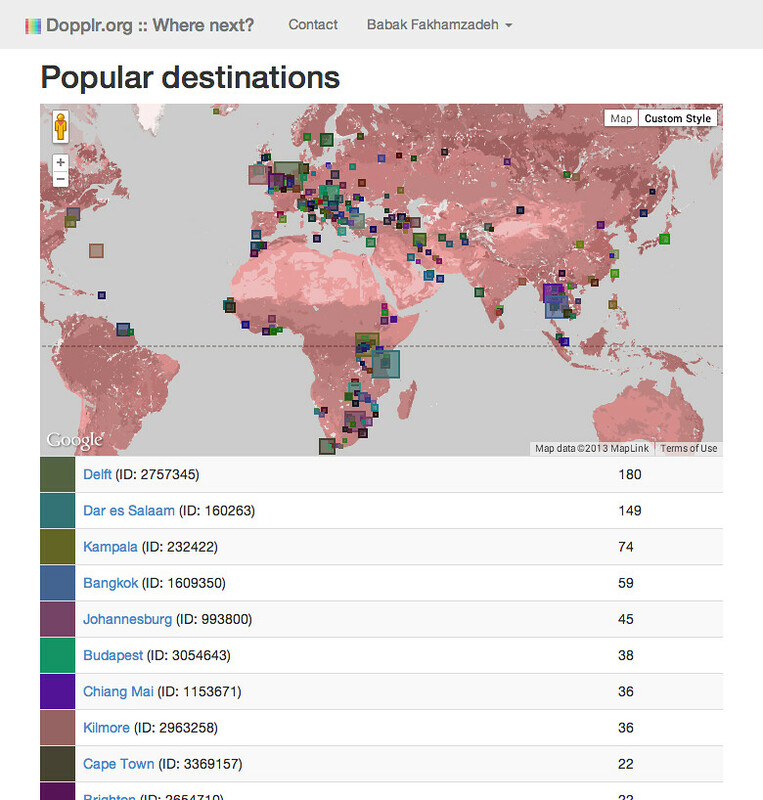 Dopplr.com is shutting down on November 1, 2013 and you can export your travel destinations while that service lasts. Dopplr.org currently allows for Atom-feed exports of your data, which is exactly why I build dopplr.org, as I was using dopplr.com for my location history on my website’s homepage, picking up relevant photos from Flickr related to my most recent destinations. Integrated into the places I have been in mid 2018.